Surf lessons are available on the Sunshine Coast all year around. Learn to surf in the pristine, warm and crystal clear waters surrounding the Sunshine Coast, and choose from one of our 2 convenient locations – Bribie Island and Kawana. 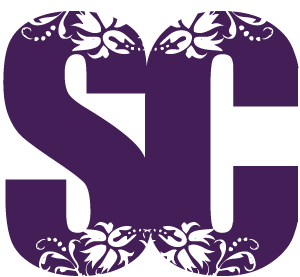 Sunshine Coast Surf Schools offer fully approved surf lessons under Surfing Australia, and our lessons and coaching programs are all endorsed by the Australian Sports Commission. We are all about providing you with the best learn to surf and surf coaching experience available on the Sunshine Coast! A flexible approach to group surf lessons for kids and teens. Lessons are scheduled daily, 8am or 9am starts (depending on beach conditions). Use your lessons at your convenience! We will notify all surfers of lesson options the day prior to your lesson, book in or re-schedule! Maximum 8 per group, Minimum 2 per group. Our Beginner Surf Lessons are designed to introduce you to the basics of surfing. Learn about how to understand beach conditions, wave types, keeping safe in the water, surfboard management and most importantly the keys to getting to your feet and riding a wave! Our qualified surf coaches will progress you in a safe and friendly environment so you can catch a few waves by yourself before the lesson is over! We keep coach to suffer ratio at no more than 1:6, with multiple lesson packages available. All equipment is included. Slightly more advanced than our Beginner Surf Lessons. Our Intermediate Surf Lessons are ideally suited to those who have participated in the Beginner’s Basics class or consider themselves as competent in surfing’s basic fundamentals. Coaching emphasis is placed on re-enforcing and further developing basic board riding and safety skills. Take a surf lesson at entirely your own pace and comfort level! If a more personalised approach is what you are seeking, then our One-2-One Surf Lessons will ensure you receive the individual care and attention needed to achieve your individual surfing goals! Your coach will be able to tailor your lesson to meet your expectations! Work one on one with your coach to progress! Its a perfect way for refresh your skills after a break, prepare for that surf trip away, get accustomed to a new board, or just advance your surfing! Multiple lesson packages available, which can be scheduled to suit you and the conditions! Your are welcome to bring your own board, or we will have a board for you. Our Private Group Surf Lessons are a flexible private lesson option, where it’s just your group and a coach (or two). Our private group lessons are a perfect option for couples, families or a group of friends who are keen to experience surfing together. Scheduling your lesson(s) can be tailored to suit your plans. Multiple lesson packages available to suit. Duration and cost can be negotiated to suit, with all equipment included, or you are welcome to bring your own boards! Surfing Mums is a chance to surf and socialise with some fellow Mums during the week…either after school drop off or pick up! Programs can be designed to suit your group, with a coach to student ratio of 1: 6. All equipment is included. Its a great way to stay active, meet new Mums and enjoy the beach at its quietest! Another option is organise a few friends for a Mums Surf day. Please contact us for more details. The Teen Squad Surfing Program is designed to extend surfing skills for kids between 12 and 17 who have progressed through the nudie SURFGROMS program, and also want to make a start on the surfing journey. Programs are scheduled for Term Time, either before or after school at selected locations. nudie SurfGroms adopts an approach to learning that uses group-based games to not only equip your child with the skills they need to surf and/or SUP, but also to encourage their participation by having fun. Every nudie SurfGroms lesson is designed purposefully to create a positive and supportive learning environment. One of Queensland’s few relatively untouched island paradises, with over 80% zoned National Park. Its beautiful white sandy beaches, warm waters and small rolling waves make Bribie Island the ideal location for the beginner surfer. Bribie Island is the closest patrolled surfing beach to Brisbane and is linked to the mainland by bridge, making access extremely easy for those travelling from Brisbane and surrounding areas. Sand bottomed beach breaks with the waves normally bigger further north up the beach from Woorim. Perfect for beginners of all ages, with good sandbars for catching short whitewater waves for kids and beginners learning to surf and even a fun long-board wave on higher tides when the surf is small and the waves are spilling. Ideal conditions await in a northerly wind and swell direction combine to produce ideal conditions for beginners and intermediate surfers. You will find waves up and down the beach! The Kawana stretch of beach lies between Mooloolaba to the North and Caloundra to the south, with a range of sandbanks to choose from. Our lessons are conducted at Wurtulla (closer to Caloundra), and in front of the life guard tower. The beauty of a quiet, uncrowded and open beach awaits! Sand bottomed beach break, which can produce great left and right handed waves for all levels of surfing. Ideal for all levels of surfing and conditions, particularly when the northerly kicks in. 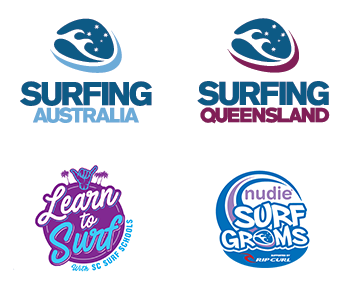 Sunshine Coast Surf Schools can design a customized surfing program to suit your groups needs! For more information on surf lessons for Community Groups, School Excursions and Private Events, please contact Sunshine Coast Surf Schools by email, or call 0404 073 873.